James D. Johnson is a Member of the Banking and Financial industry groups, focusing primarily on commercial litigation and appellate law. He practices out of the Firm’s office in Evansville, Indiana. James works frequently with clients across many industries, guiding his clients through complex civil litigation. 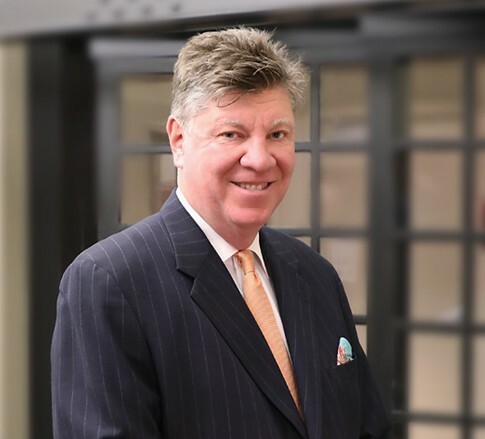 For nearly three decades, he has advised clients in diverse industries in a broad array of business matters, including issues of complex commercial law, civil litigation, appellate law, trade secrets, and intellectual property. In addition to his experience in commercial law, James is a highly skilled trial attorney. He is an associate member of the American Board of Trial Advocates (ABOTA), an invitation-only organization which requires participation in a minimum of 25 jury trials taken through to verdict for membership consideration. James is an accomplished orator above and beyond his trial work, having handled more than 50 appeals and multiple oral arguments before state and federal courts. He has been named to The Best Lawyers in America® for Appellate Practice since 2007. Above all, James is passionate about his work. He holds a leadership position with the Firm’s internal commercial law practice group, and enjoys that he gets to spend his days drafting briefs and taking cases to trial. If he ever ends up with spare time at work, he uses it to make sure he stays current on what's happening in his practice areas. When he’s not at the office, James makes the most of his free time by spending time with his wife or getting in a round of golf.